My Recipe Room was founded with a dream. The dream was to bring something new, different and appealing to food lovers. Something that will make lives easier and connect people with the same common interest – the love of food. The dream became a reality with our recipe app. With numerous features it allows you to create and save your own recipes and share it with others. The dream was not over though. Driven by our passion and creativity we developed products with the aim of bringing back the fun in preparing food and to create discussion and community. The products had to be daring, diversifying your kitchen but remain healthy. Our gourmet salt range was the start. Most people find it strange that we can make salt with fruit flavours – that is until they try it. It tastes as good as it looks – beautiful and vibrant. We are still dreaming though. There are many more products in the pipeline. We welcome you to our world. Give our mouth-watering gourmet salt a try. We use only the highest quality ingredients with our own unique infusing process. Whether you like the subtle flavours of strawberry and peach, berries and pear, pineapple and orange or prefer the lingering aftertaste of red wine and rosemary we are confident you will find your favourite among our selection. The coffee and chocolate or white wine and thyme flavours will definitely make a fan out of you. Although these flavours stand proud they remain subtle. Make no mistake, these are still salts. 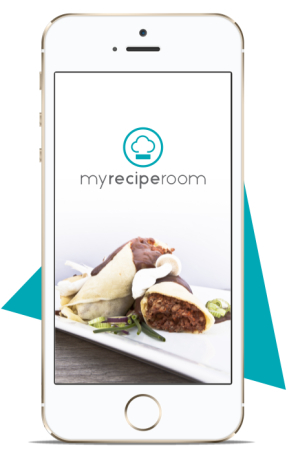 My Recipe Room is a mobile app aimed at food lovers around the world. Use the app to create, store and share your favourite recipes supported by a great feature set to make updates and changes as easy as possible. Show your appreciation for your customers with something they can use. 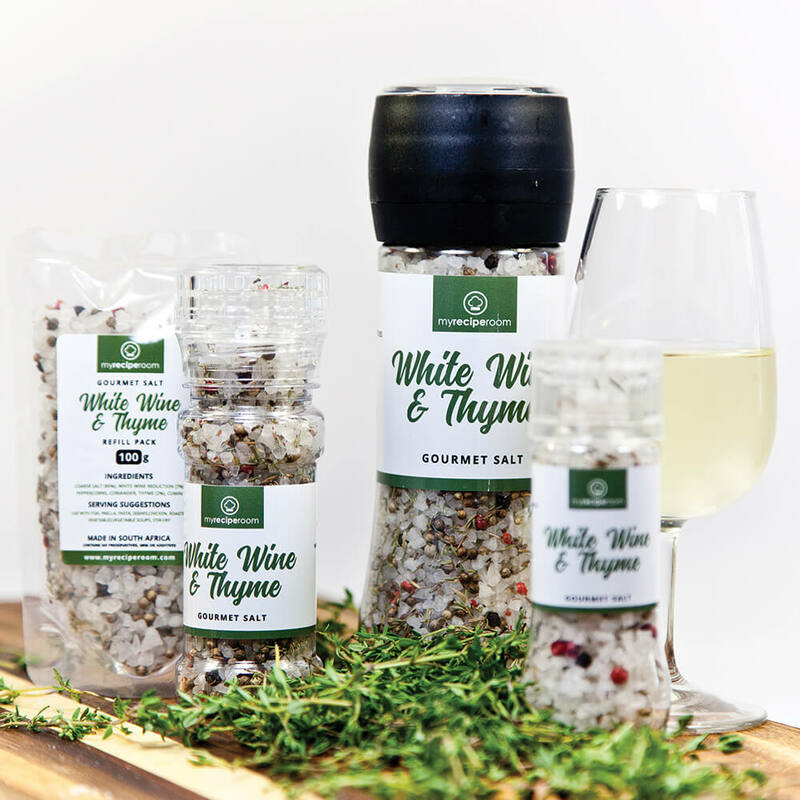 Surprise them with a grinder of gourmet salt with your logo and branding on the label as a year-end gift, a favour at one of your corporate events or just a random act of appreciation. They will remember you every time they use it. Are you a bride-to-be looking for a unique wedding favour for your guests? We have a great offering that they can actually use. Surprise and spoil your guests with a grinder of gourmet salt with a customised label that incorporates the colours of your wedding theme and the names of you and your spouse.